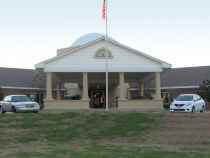 We found 0 results for memory care in Mamou, Louisiana. We have also included 6 results in surrounding areas. The median cost / day for Alzheimers care in Louisiana is approximately $153, with costs ranging between $99 and $278 per day. On a per month basis, this equates to a mean expense of $4,576, with costs ranging from about $2,972 to $8,352. The median annual cost is $54,918, which is less than the US average of $60,900. Mamou is a small city in Evangeline Parish within Louisiana. While the city has 5,582 residents, the encompassing area has a populace of 857,825. Residents over 55 represent approximately 25% of the community. Mamou has an average SeniorScore™ of 66. The city has a mean per capita income of $17,000 and a mean household income is $26,000 (the Louisiana state average is $41,000). The current unemployment rate is roughly 8.19% and the median home price is $85,500, which is much less than the state average of $141,000. Mamou has ideal mean temperatures, with very mild winters and very temperate summers. The area receives very high levels of rainfall annually. In relation to other cities, Mamou has a high crime rate and very low air quality ratings. 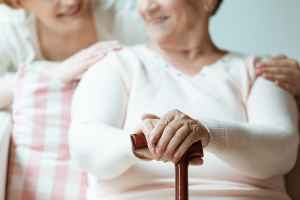 To see information on the SeniorScore™ for Mamou, LA, please visit senioradvice.com/seniorscore/senior-living-in-mamou-la.